Happy with the way film has shaped up and the music which is a combination of the eclectic with massy, marketing savvy producer Bhushan Kumar has decided to give his film an 8 week long promotional platform. The film will has been finalised for April 12th 2013. Nautanki Saala, a buddy comedy, is directed by Rohan Sippy. 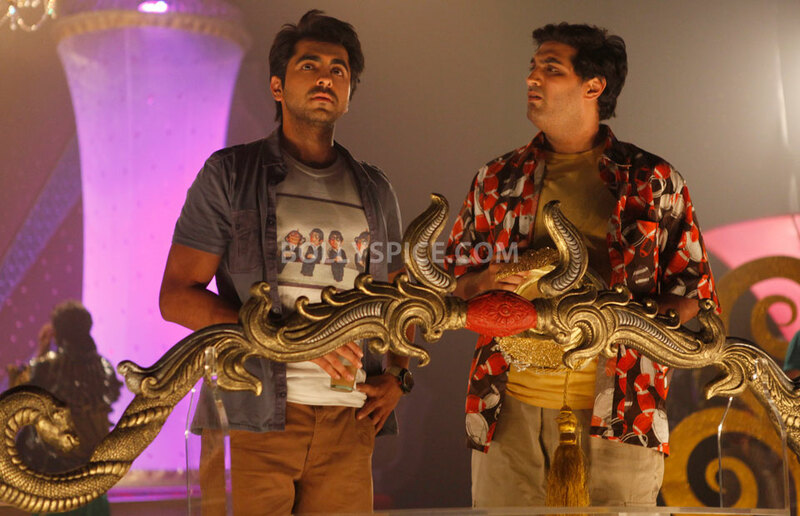 The film stars Ayushmann Khurrana and Kunaal Roy Kapur. The film is produced by Ramesh Sippy & Bhushan Kumar, under the Banner T-Series & Ramesh Sippy Entertainment. Other credits include Written by Nipun Dharmadhikari , Cinematography by Manoj Lobo, screenplay by Nipun Dharmadhikari, Dialogues by Charudutt Acharya, Sound Design by Manas Choudhary, Styling by Shyamli Arora, Art by Sukant Panigrahy, Executive Producer Garima Mehta, Lyrics by Kausar Munir, & Music by Mikey McCleary and others and Set Designed by Sukant Panigrah. 17 queries in 0.733 seconds.